Jubilation is a unique beast — an acapella gospel choir with a rock & roll heart. We sing soul, blues and country-infused gospel, from the songbooks of Nina Simone, Tom Waits, Curtis Mayfield, Don McGlashan, Isaac Hayes, Blind Willie Jackson and Emmy Lou Harris. The choir’s diverse ensemble includes several professional musicians, a psychologist, a builder, a maker of super yachts, a handful of actors and a lecturer in Russian. Jubilation has performed all over New Zealand to crowds large and small — from 10,000 plus on the main stage @ WOMAD to an intimate 60-something at The Old Cheese Factory near Arrowtown. 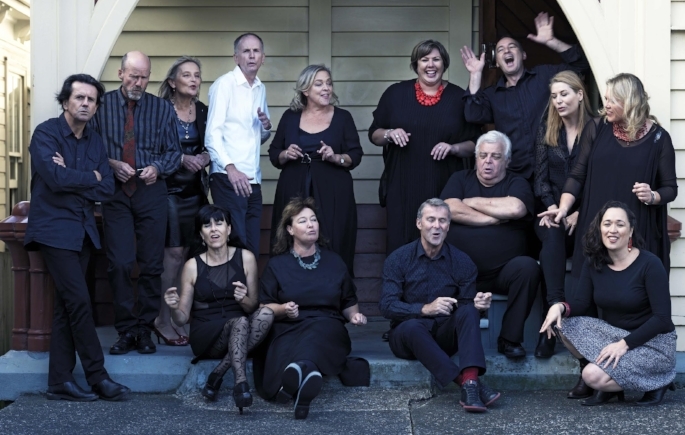 They can also be heard singing backing vocals behind Hollie Smith on ‘Bathe In The River,' Don McGlashan’ s Silver Scroll award winning hit from the movie ‘Number 2’.